Elliot Hanson, part-time employee at Opus Business Media, has cruised to victory in the Sailing World Cup event. 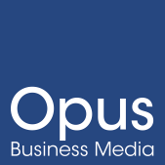 Opus Business Media is pleased to announce the appointment of Luke Crawforth to the production team. Luke has taken on the design and production of Tomorrow’s Cleaning, Tomorrow’s Cleaning Ireland, Tomorrow’s Care, Tomorrow's Tile & Stone and Tomorrow’s Health & Safety. Part-time Opus Business Media employee Elliot Hanson has cruised to victory in the finals of the World Cup Sailing Series in Marseille, scooping bronze in the medal race despite recent ankle surgery. Opus Business Media is pleased to announce the appointment of Nigel Rice to the production team. Nigel will be taking on the design and production of Tomorrow’s Contract Floors, Tomorrow’s Retail Floors, Tomorrow's Tile & Stone and Tomorrow’s FM.